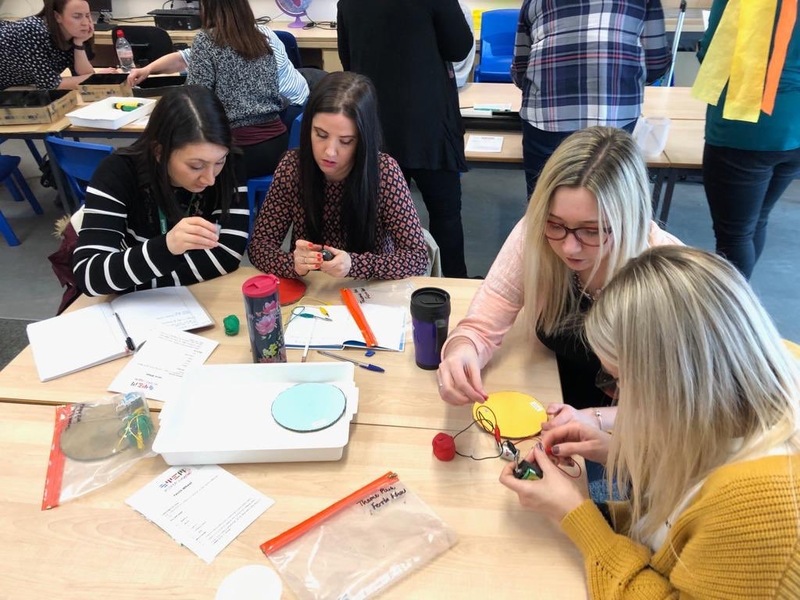 Teachers from across the Highlands attended a day of workshops, speeches and networking opportunities focussed on improving the teaching of science-related subjects in primary schools. More than 65 practitioners attended the Highland STEM Conference which hosted 27 separate workshops at Ben Wyvis Primary School. The event was organised by the RAiSE programme which improves the confidence and skills of primary practitioners to deliver meaningful STEM (science, technology, engineering and maths) lessons to pupils. “We were delighted to welcome so many enthusiastic Highland practitioners to the event which focussed on the importance of science capital and how this can be nurtured from an early age. Workshops included using K’Nex in the classroom, story-lead STEM sessions, squishy circuits and Sphero’s. A number of the sessions were recorded so practitioners who could not attend the conference will be able to watch them on the Education Scotland website. Contributors to the day included The Royal Society of Chemistry, John Muir Trust, Education Scotland, SCDI, UHI STEM Hub, University of Glasgow and STEM Ambassadors. This was the fourth Highland STEM Conference to be held on an in-service day. For more information on RAiSE in the Highlands, contact Primary Science Development Officers Emily Brown at Emily.brown@highland.gov.uk and Kat Thomas at Kathryn.Thomas2@highland.gov.uk or follow the team on twitter @STEMHighland.